I was invited take part in a media night at Wine + Design Charlotte on Monday. The purpose of this night was to test out one of their new team-building party options. 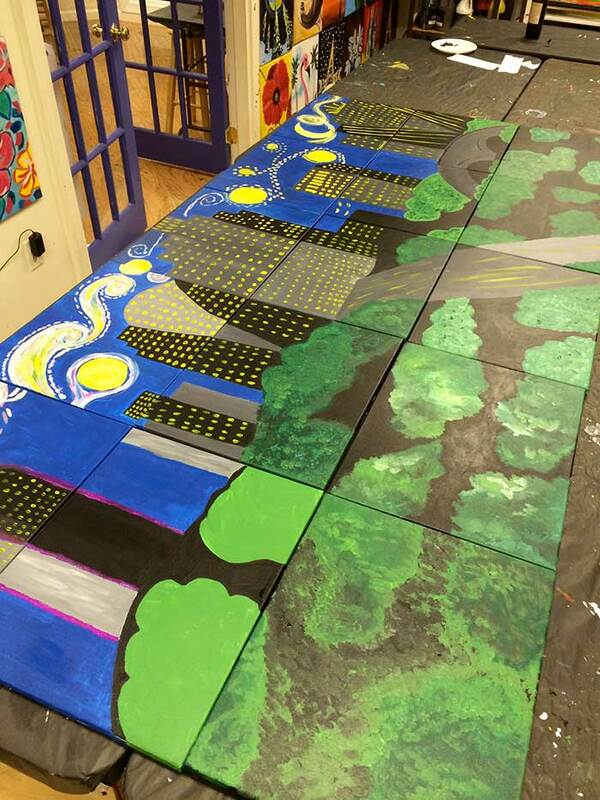 Our intentions were to paint a life-size Charlotte skyline mural with a Van Gogh twist. We each had our own 16 x 20 canvas that would then be fitted into a larger mural, just like a puzzle. I had never done anything like this before, so I was eager to dive in and test out my artistic abilities, or lack there of. (1) There are no mistakes. (2) Brushes in water, not wine. Seriously, this is like paint by numbers, but for adults, with wine. Are you sold yet? This was a lot of fun. It was cool to see each of our takes on a different section of the Charlotte skyline. Separately, each piece seemed like it wasn’t right. 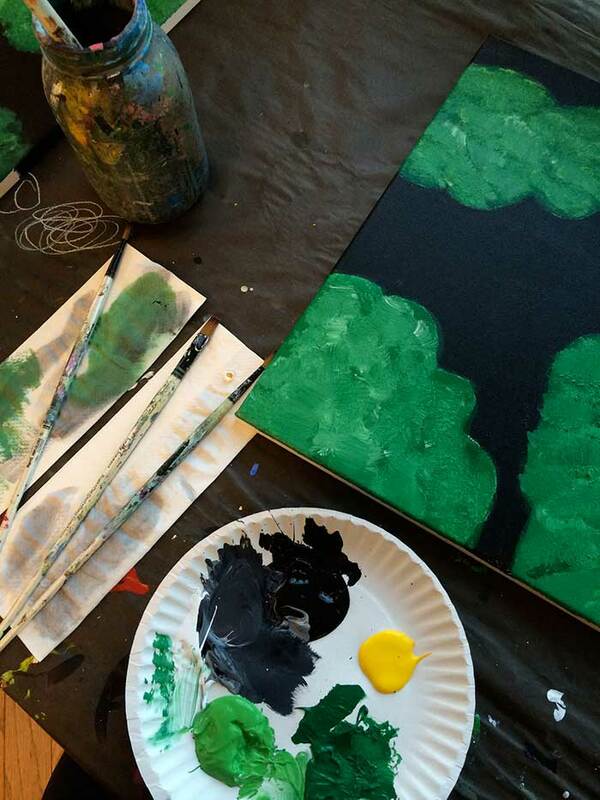 But once we put all of our canvases together, it really transformed. It turned out to be such an awesome mural of the Queen City, our city. The Van Gogh twist added to the character of each piece. I’m not sure where they are going to showcase our ‘Starry Night’ version of the Charlotte skyline, but I can’t wait to find out! I cannot recommend this place enough. This, for sure, won’t be my last time. If anyone wants to invite me to their next painting party, I’m there! Let’s talk facts, shall we? 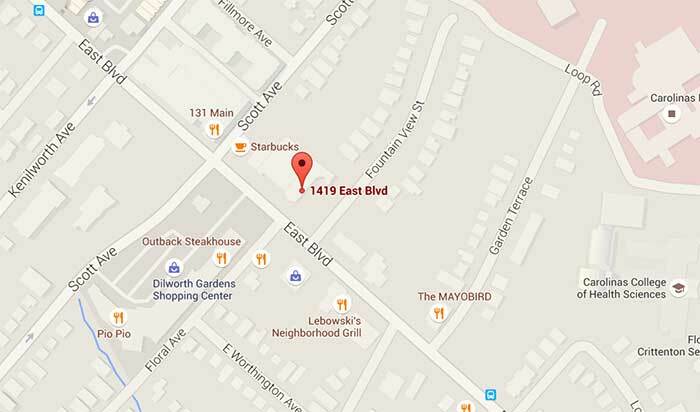 Location: 1419 East Blvd. Suite J. It is on the second floor of the Twin Oaks shopping center. 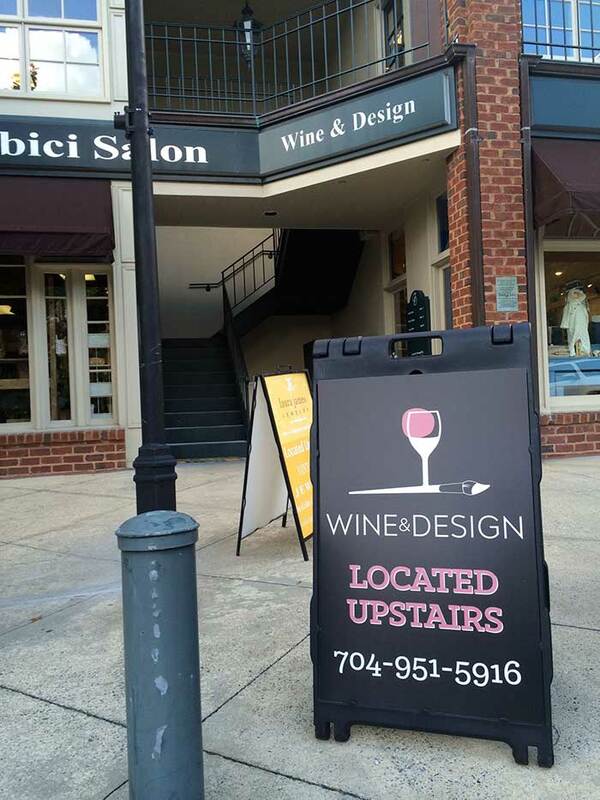 What is it: Wine and Design is a franchise with studios all over the country. 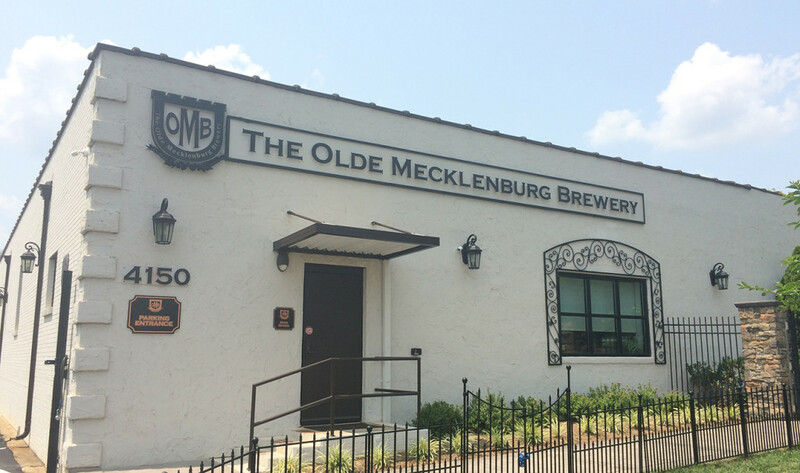 The Charlotte location was started by two creatives: Heather Barbour Wyatt and Sarah Grant Singletary. They had both painted at the Raleigh location and loved it so much they did they figured out what they needed to do to bring it to Charlotte. 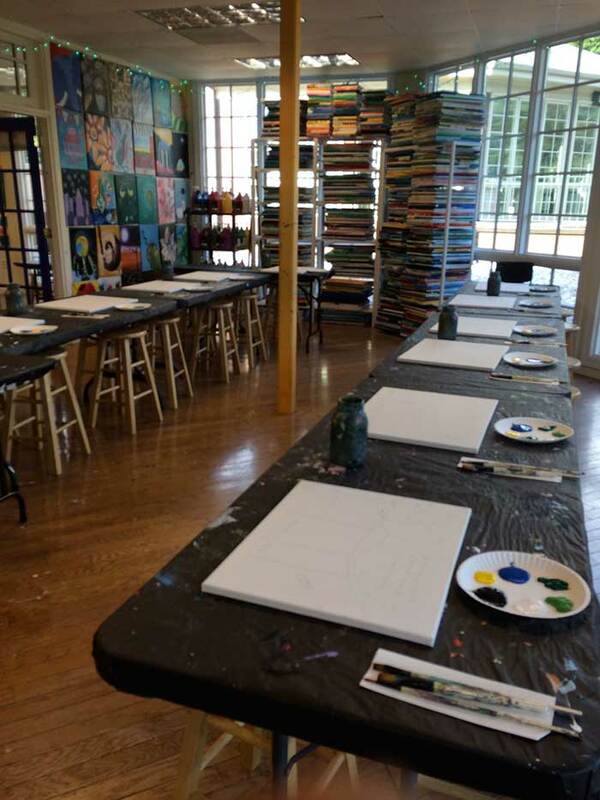 Their Dilworth studio offers tons of options to get involved and partake in a wine and painting event. Options include, but not limited to, birthday parties, supper clubs, girls’ night out, wedding showers, baby showers, engagement parties, club meetings and fundraisers. This place is great for an event because there’s really no planning or clean up involved. Bring your favorite bottle of wine and some snacks and they do all the rest. They have two studio areas available to host your event. Their back room holds 8-12 guests and their front room holds up to 35 guests. They also have a few different package options for team-building events. It’s a great way to get employees to participate, get to know each other, work as a team and just have fun. Wine and Design Charlotte also welcomes children with open arms. 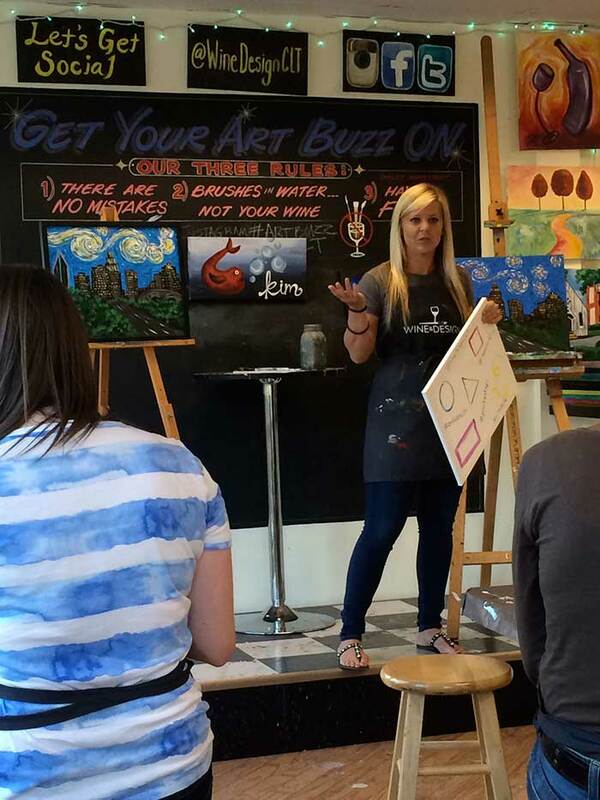 They offer a summer camp for kids called Art Buzz Kids. 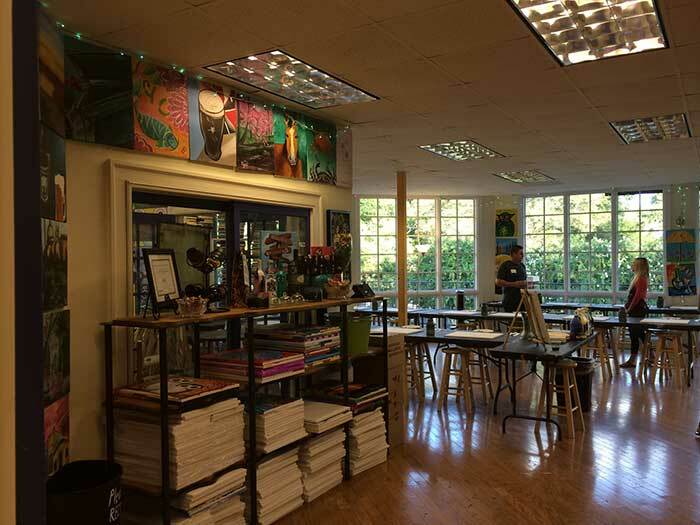 In addition, they offer kids classes on Saturday or Sunday afternoons and offer up their studio for children’s birthday parties. 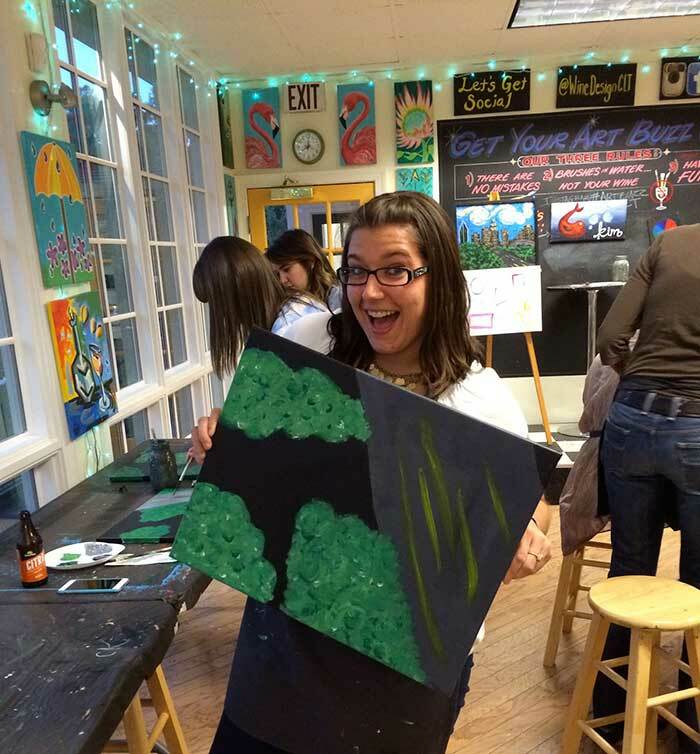 If you cannot make it into the studio for a night of painting fun, they can bring the fun to you. That is pretty cool right? 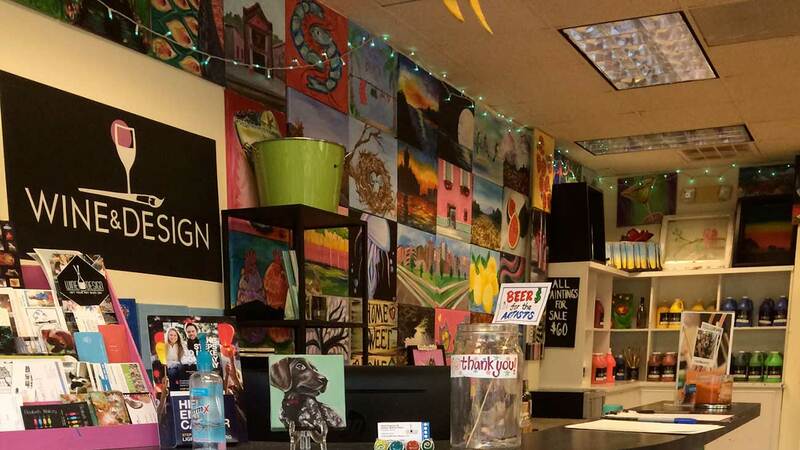 They call it “Design on Wheels.” They’ve gone to a number of places in Charlotte. Restaurants/bars, offices, homes, event centers and wineries! All you have to do is provide the space, table and chairs. They literally do all the rest. So how do you enjoy a night of painting? Go to their website and schedule a night of fun for you and a group of friends. Keep in mind that depending on the type of event, time, place, etc., they’re might be a minimum number of people required. But they’ll tell you that up front.